The official Facebook app version : 3.5 is now available for iOS in AppStore to download. 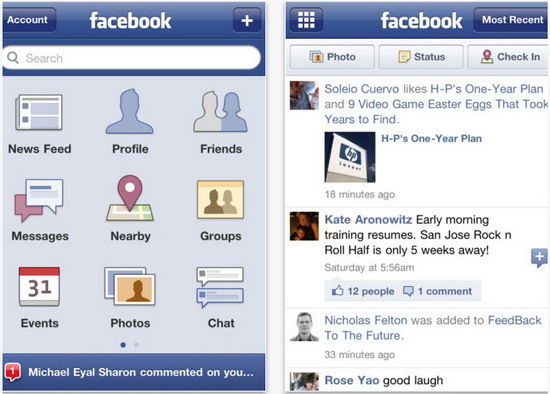 So for iPhone and iPod Touch user, you can immediate upgrade the Facebook Application on your device. On this latest version, you will find some new features, “tag friends” and “places” will allow the users to share external links. And for more, it’s been done some fixes and application performance improvements on this update. If you’re a Facebook user, we highly recommend that you download this update immediately, you won’t regret it, even if you hate the new privacy controls; the improvements strongly outweigh the possible ordeals. After upgraded this version, I can’t check-in and update status. Is this a known bug ? I’ve tried reboot and reinstall the app but no luck.